Do you like GunFight.io? Share it with your friends. 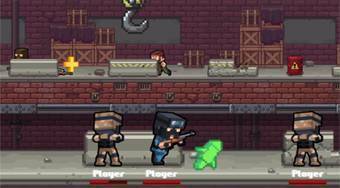 GunFight.io is a greatly crafted multiplayer shooter from the popular series .io games. In this game you choose a free room, join the terrorists or members of the attack unit, and your task will be to try to get as many points as possible from a team of other players from around the world.